A. Place the pipe grinding machine horizontally on a hard flat surface. B. 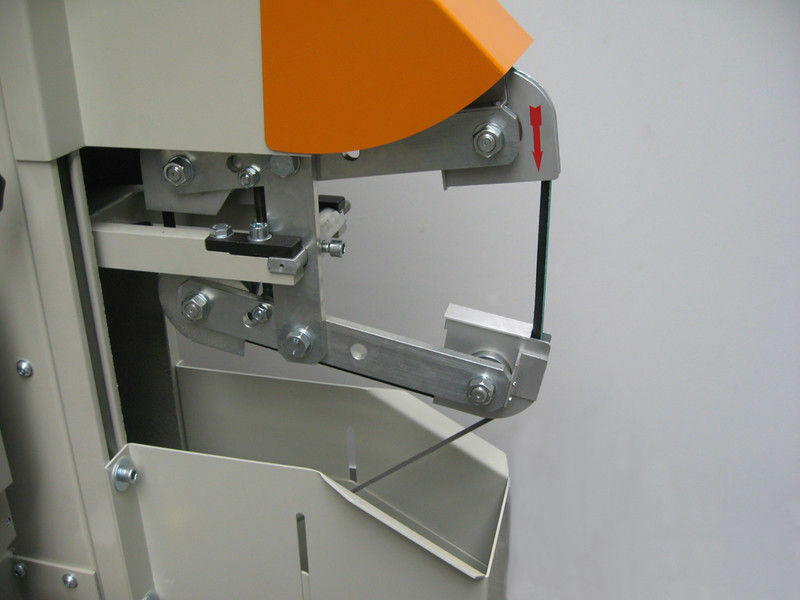 Install and remove the belt: The belt is controlled by an elastic spring. And move from top to bottom. C. Turn the screw handle which on the rubber wheel housing, to adjust the feeding rubber wheel in and out position. Until the tube rotating freely, that the feeding rubber wheel, round tube and abrasive belt can reach a best friction distance. The feeding rubber wheel rotates counterclockwise (from bottom to top). D. Adjust the feeding pallet up and down by screw handle, to make the circle pipe, feeding rubber wheel and sanding belt on a best center position. E. This pipe grinding machine is very easy to control, only two buttons "ON and OFF"
F. During feeding, the sand belt down movement, and feeding rubber wheel up movement. When the feeding rubber wheel angle move to left, and the angle larger, the feeding speed faster. Utilizes the principle of seam welder with round welding wheel. Medium frequency inverter power source which is electricity saving. Enhanced function: memorize 16 sets of welding way . If you need more , we could design for you. Use the servo motor to drive axis X (locate mould) and axis Y (welding electrode) to operate under the preset procedure of PLC data.